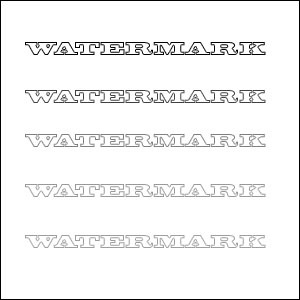 If you’ve read my blog in the past then you probably know how I feel about watermarks. If you haven’t this past blog post explains why a registered copyright is really the only protection you have against someone stealing your image. Scroll down for the part about watermarking. Bottom line is that I think it’s distracting and detracts from the image. You don’t want the viewer’s eye wandering around your image. They should focus on the subject. Moreover, any 12 year old with decent Photoshop skills can remove your watermark. Finally, as stated earlier, your watermark doesn’t mean squat in a court of law. These sentiments were reinforced to me recently in an episode of D-Town TV with Scott Kelby and Matt Kloskowski. In the epsiode, they go over how to easily add a watermark in Adobe’s Lightroom 3.0. Fastforward to about 4:45 and Scott, with tounge in cheek, explains why he wants someone to steal his image. Recently, however, I ran across one photographer who makes clever use of his watermarks. Zack Arias is an Atlanta based photographer. He is pretty well known across the country, not just for his work, but for his willingness to teach others. Then check out this post. Again, look for the “usedfilm” watermark. Now look at the second to last picture; the one with the band standing in a field. See the bird in the sky? Watermark. You can see it again in the last image on the guitar case. I think this is a very subtle and creative use of a watermark. Sometimes it’s obvious, sometimes it’s not. It’s not always in the same place and it blends in nicely…you have to look for it! If you saw only one of those images, you might think that the words were really on the guitar case or guitar strap. It’s also not placed somewhere where it can be cropped out without losing an important part of the image. So as much as I don’t like watermarks, this takes the cake for the best use of one.